Professor of Architecture Andrew Shanken has published two new articles this year. He wrote “Unit: A Semantic and architectural History” in the summer issue of Representations and “The Visual Culture of Planning” in the Journal of Planning History. Shanken co-taught the GUH course City of Memory with Prof. Lauren Kroiz, and will be co-teaching with her the Spring 2020 Graduate Interdisciplinary Studio on Berlin. Shanken, Andrew. 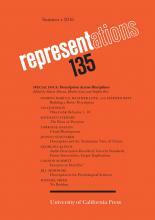 “Unit: A Semantic and Architectural History.” Representations 143, (Summer 2018): 91-117. Find the article here. This essay peers through the peephole of the word unit to reveal the word's journey across multiple fields from the mid-nineteenth century through the present. A keyword hidden in plain sign, unit links science and the world of measurement to society (family units), politics (political units), architecture (housing units), cities (neighborhood units), and, more recently, big data, the carceral state (crime units), and managerial oversight. Shanken, Andrew. “The Visual Culture of Planning.” Journal of Planning History 17, no. 4 (2018): 300-319. Find the article here. Over the course of the twentieth century, American planners deployed an array of visual techniques to analyze, represent, and promote the American city. Early planners looked to maps of poverty, disease, ethnicity, war, and land use, as well as archaeology, world's fairs, and the photography of social reform. They became adept at combining drawings, diagrams, and charts to map information and make visual arguments for urban transformation. These techniques were tools of cultural critique and anticipation that shaped American understandings and expectations of cities. This essay surveys the imagery of urban planning as a prompt to historians to pay close attention to the visual culture of urban planning. Metropolis in Ruins. Berlin's Interval of Time, 1943-1947. Lecture by Stefan-Ludwig Hoffmann for Fall 2018 Colloquium The City and its People. Fall 2018 GUH Colloquium student Vincent Buckwitz wrote the following reflection on the October 30th lecture given by Stefan-Ludwig Hoffmann, Associate Professor of History. Stefan-Ludwig Hoffmann (Associate Professor of History) was from 2017-2018 Fellow at the Wissenschaftskolleg/Institute for Advanced Studies Berlin and Guggenheim Fellow. He shared his research about the history of Berlin from 1943 to 1947 as it was transformed from the capital of Nazi Germany to a divided metropolis of the Cold War. In the beginning of the presentation, Prof. Hoffmann citied the speculations of the architecture critic, Karl Scheffler, who was asked in 1920 about how the “Potsdamer Platz” (one of Berlin’s main squares of the time) would look like in 25 years. Karl Scheffler replied to the question with a fictitious dialog of his friends stating three different assumptions of how the square will change. The most significant out of the three is: the square will become even more international, lively and licentious or an abandoned city of ruins which is characterized by devastation. Scheffler’s foreshadowing precisely captured expectations of the time about how Berlin will develop as urban critics of the early 20th century made Berlin appear like a overly fast-growing city which will fall apart like Babylon. Urban criticism from left-intellectuals to right-wing extremists was expressed implying megacities to bundle problems of late capitalist societies. Movies such as “Metropolis” from Fritz Lang produced in 1927 orchestrated mass riots to be a consequence of urbanization leading to megacities downfall. Common belief even among city planners was the collapse of cities in the absence of profound social reforms. But what happens if the worst expectations not only come true but are exceeded? Indeed, the worst expectations were exceeded through the outbreak of World War II. This quote inspired me to think about the impact of the suddenness of historic events accompanied by the impossibility of continuity in people’s life and perception. Leading me to the question of how this mentioned discontinuity causes inevitably memory bias and impacts today’s culture of remembrance. An example for the German struggle of remembrance is the 8th of May 1945 when the unconditional capitulation of Nazi Germany was signed by the Wehrmacht (Nazi Germany’s army). The 8th of May 1945 was officially first recognized as a day of liberation from national socialism by Richard von Weizsaecker (German president from 1984 to 1994) in 1985. 40 years after the end of World War II the debate about remembrance of Nazi Germany’s capitulation finally started within German government and hasn’t stopped until today. Hoffmann shed light on the circumstance of a lack in continuity which might be a reason for this ongoing uncertainty about how Germany should remember World War II. Through portraying opinions of the time, Hoffmann’s talk inspired me to consider different arguments such as the discontinuity of time when thinking about German’s culture of remembrance. By 1941 about half a million forced laborers, mostly from Eastern Europe and Russia, were in Berlin which was throughout the war a multinational place. Despite the terror of the Nazi regime prohibiting any mingling of foreign workforce and inhabitants of Berlin, there still was an exchange between those two groups in everyday urban life. Wartime and Postwar Berlin was an international city. Just after the end of the war in summer of 1945, nightclubs and music bars opened again. While Berlin was under Allied occupation Russian, English, French and German was spoken all over the place. Daily life within Berlin started off immediately after the end of World War II which was used as evidence by Hoffmann to point out the resilience of multinational urban life in Berlin. Hoffman pictured how global urbanism carried by the people of Berlin could be preserved even through times of war and suppression. Hence, Hoffmann’s presentation of the post-war time is saddening as urban planning within the Soviet Union sector, just as in the American sector of Berlin was a step towards reduced urbanism, a desired goal of Nazi Germany. After listening to Prof. Hoffmann’s talk, I strongly believe in the need of global urbanism in order to achieve intellectually stimulating environments based on people’s free exchange within neighborhoods. Today’s Berlin is characterized by its diversity of people, architecture and culture illustrating modern urbanism. Taking into consideration the extreme circumstances under which people conserved global urbanism, it should be our duty to preserve this lasting idea in times of gentrification of cities due to global capitalism. Summing up, Prof. Hoffmann`s powerful analysis of Berlin’s development from 1943 to 1947 pictured the importance of urbanism and made me think about German remembrance culture. Lecture by Ivonne del Valle for Fall 2018 Colloquium The City and its People. Fall 2018 GUH Colloquium student Vivian Tran wrote the following reflection on the November 6th lecture given by Ivonne del Valle, Associate Professor of Spanish and Portuguese. In the early 16th century, the conquest of Mexico-Tenochtitlan by the Spanish Empire brought about changes that radically altered the city's semi-aquatic environment. While the indigenous populations strived for a system of water management (using lakes and rivers surrounding the area), Spaniards from very early on had done the opposite by exposing a model of water expulsion. Professor Ivonne del Valle’s (UC Berkeley’s Department of Spanish and Portuguese) research focuses on how the two different models of water management and control came about. Del Valle uses an interdisciplinary approach to help answer this question, utilizing visual art (paintings, murals, photographs etc. ), literature, and archives. Religion, economics, technology, and knowledge was a central theme for Professor del Valle’s research, and all are intertwined. In indigenous communities the treatment of the environment and humans have been imposed by religious beliefs and rituals. The value of knowledge developed during the pre-Hispanic era to manage water and its uses (e.g. agricultural cycles) involved a combination of religious practices and technical skills that constituted a way to respond to and manage variation in water levels. Under this paradigm, water was central to the life of indigenous peoples of the basin of Mexico. The control of water was so important that they based their rituals around it. The Spanish conquest of Mexico meant a complete break from this model, first through the destruction of the city, later through the neglect of the Mexica (Aztecs who lived in Mexico-Tenochtitlan) hydraulic system. 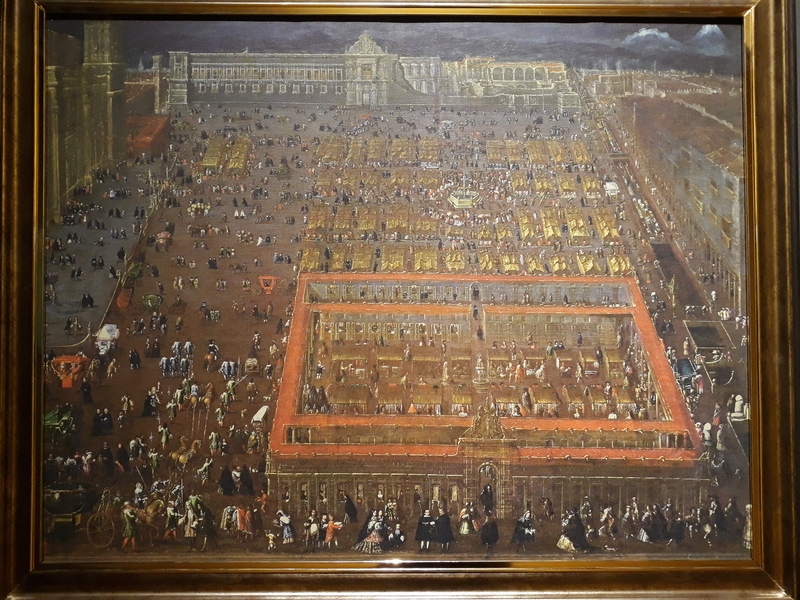 Mexico City was built by the Spaniards on top of the ruins of the Aztec city. The Mexicas were able to build a network of dikes, levees, and canals to keep floodwaters at bay. The Spaniards ignored all of the water infrastructures and chose to simply drain the waters (Tortajada and Castelán). In addition, Del Valle revealed that the Spaniards had a distrust of lakes, after their initial defeat by Mexica in 1520 (Del Valle). From then on Spaniards held a negative view of stagnate waters. Mexico City is one of the five largest cities in the world and has an estimated population of 8.6 million, with a growth rate at approximately 2% per year (Camposortega Cruz). As of right now, Mexico City is facing a water shortage and currently needs radical improvement of the current water supply, as well as its wastewater management practices, which has contributed to the deterioration of the environment, health, and socioeconomic conditions. During Professor del Valle’s lecture, an audience member asked, “What are some ways to fix this water crisis?” del Valle is still working on answering this question herself. In my opinion, the population is way too large to meet the demands for water supply; the city is overcrowded. Investments need to be made for infrastructure construction to transfer water from the interbasin to the city. It is important to acknowledge what has been done to water resources in the past, to understand the reasoning behind current problems, and try finding solutions for the future. Archival findings of previous literature and imagery has placed a different spin on this research by diving back into history to understand the beginning of water management, and not a lot of work has been done using these methods. An understanding of how water management draws from the history of Mexico-Tenochtitlan and encourages longer-term commitment to the problems at hand. Understanding Mexico City’s water infrastructure can be challenging, but by analyzing gaps in the literature it is possible to learn about the indigenous populations who have been overlooked by earlier scholarship. It is also possible to get a better understanding of the environmental destruction and social oppression caused by the drainage of Mexico City's lakes from colonial times to the present. Camposortega Cruz, S. “[Demography of Mexico City. The same problems with less population].” Demos (Mexico City, Mexico), no. 4, 1991, pp. 23–24. Tortajada, Cecilia, and Enrique Castelán. “Water Management for a Megacity: Mexico City Metropolitan Area.” Ambio, vol. 32, no. 2, 2003, pp. 124–29. Fall 2018 GUH Colloquium student Tom Lindman wrote the following reflection on the November 13th lecture given by Chris Herring, PhD Candidate in Sociology. Chris Herring—a Ph.D. candidate in Sociology at UC Berkeley—studies anti-homelessness laws in the United States. His presentation for the City and its People provided a history of anti-homelessness laws and their impact in San Francisco. His work sheds light on how these laws are currently enforced and their effect on the unhoused. The talk began by situating current responses to homelessness within the history of United States anti-homelessness laws. From warnings to outlaws in the American West to sundown towns in the late 1800s through the 1950s, Herring places law and order at the center of the United States response to homelessness. This approach evolves through the twentieth century into 1990s broken windows policing (Kelling and Wilson, 1982). Herring couples this history with a punitive turn in United States welfare policy, arguing that this produced the current focus on “treating”—or medicalizing—homelessness. 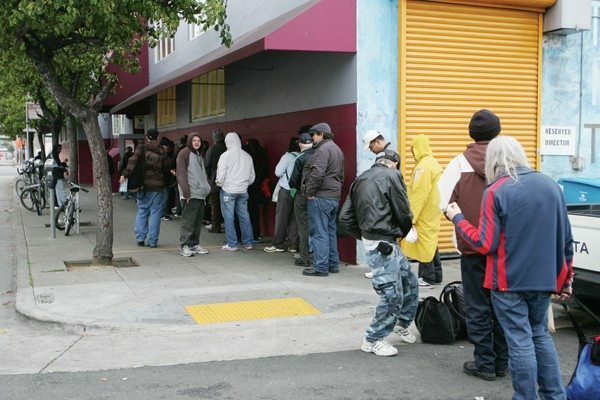 Herring’s ethnographic research in San Francisco examines homelessness policy from above and below. We begin by riding along with San Francisco Police Officers. Responding to a call from homeowners about a person camping on the sidewalk, the officers speed past homeless encampments. After arriving on the scene of the call, officers inform an unhoused man that he must move or receive a citation. The man does not argue and gathers his belongings. The police move on to their next call. The image of disinterested police officers responding to a complaint underscores a central theme in Herring’s work: that homeowners drive local responses to homelessness. Quotes from police officers, civil servants, and unhoused San Franciscans elaborate on this theme. A portrait emerges of a system framed as responsive to the health and wellbeing crises of homelessness but in practice criminalizing unhoused individuals and responding to homeowner complaints. We also see that contact with systems of care and enforcement traumatize unhoused individuals. Herring describes a fear among unhoused San Franciscans of Department in regards to the Public Works (DPW) cleaning crews that are sent to dismantle homeless encampments. Herring argues that fear of DPW cleaning crews surpasses the fear of police officers among unhoused San Franciscans, showing that services framed as addressing the health and wellbeing crises of homelessness mainly address the concerns of housed residents. Law and order policies have been re-branded to meet the demands of progressive citizens interested in maintaining neighborhood character and property values. Herrings’ work problematizes local responses to homelessness while acknowledging the challenges faced by local governments. The voices of police, civil servants, and politicians humanize the system that designs and implements anti-homeless laws. Juxtaposing the voices of government workers with unhoused San Franciscans shows an interesting alignment between police that enforce anti-homelessness laws and unhoused San Franciscans. Both groups understand that the homelessness crisis is not improved by current policies. In fact, both acknowledge that destruction of property and trauma resulting from these policies exacerbate the effects of homelessness. 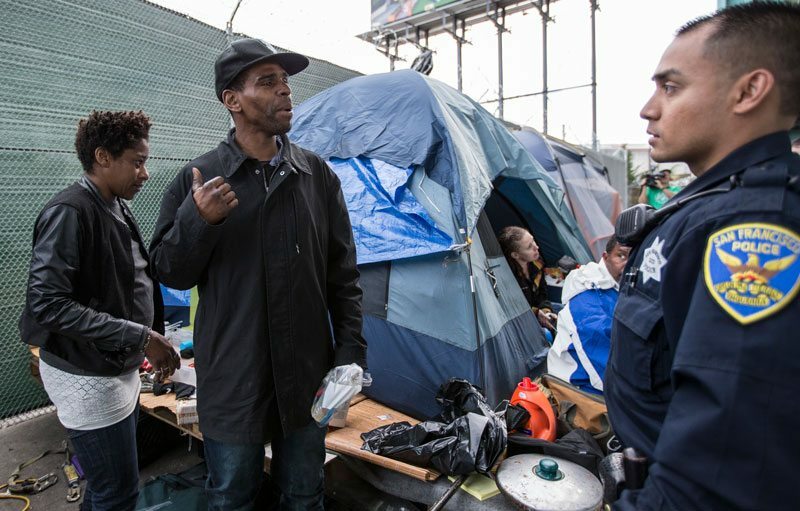 A disconnect emerges between the voices of front-line workers and politicians guiding San Francisco’s response to homelessness. 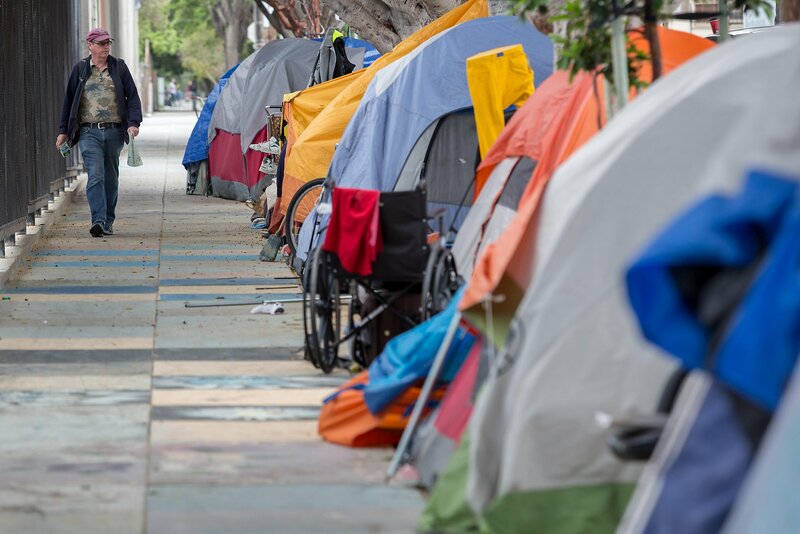 While policy is framed in terms of outreach and connection with services, implementation focuses on enforcing anti-homelessness laws. The result is local policy described as helping unhoused individuals but implemented to relocate and reinforce homelessness. Fall 2018 GUH Colloquium student Lily Leveque Eichhorn wrote the following reflection on the October 30th lecture given by Stefan-Ludwig Hoffmann, Assistant Professor of History. Stefan-Ludwig Hoffmann’s work focuses on uncovering a new perspective on people’s experiences in Berlin before, during, and after World War II. In introducing his work, he comments on the enormous amount of attention the World War II period has received from historians and scholars. He explains that despite people’s fascination with this point in history, little is known about the urban experiences of post-WWII. Hoffmann suggests that much of what we know about the daily experiences of people in the summer of 1945 is skewed or outright false. For example, people tend to understand this period as a time dominated by military control, restricted movement of people, and mass genocide of Jewish people. However, Hoffmann paints a different picture. His work reveals that many “tourists” traveled to and from the city during this summer, creating a sense of movement and excitement within the city. Hoffmann comments on how there is a unique conflict within the city’s landscape post-WWII— in one way the city is bustling and alive, yet in another way it is scarred deeply by the signs of war and destruction. Hoffmann uses different people’s accounts of Berlin during this time to trace this duality. While some accounts reflect the shock and tragedy of the war, other verbal and visual representations focus more on the vibrancy of the city and indeed, the “hectic gayety” that seemed to sweep over the city (Hoffmann). Furthermore, movie houses, nightclubs, and other social gathering spaces were among the first to reopen, which contributed greatly to a general bustle in the city immediately after the war. Hoffmann goes on to draw a comparison between pre-WWII and post-WWII urban experiences. 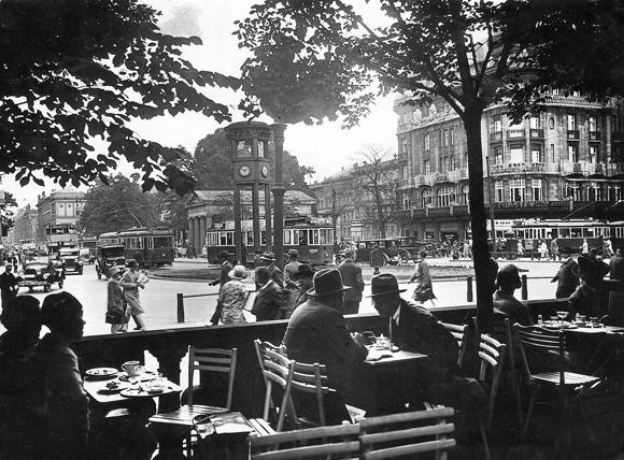 Focusing his argument on the famous picture depicting Café Josty on Potsdamer Platz, Hoffmann talks about the widespread feeling that Berlin was in decline after WWI. As a result of the 1920s Wall Street Crash in the United States, the German economy, which was reliant on American loans, took a turn for the worst. The economic struggles of this time led to great unemployment and a concentration of homelessness within Berlin. In this context, people believed that the vibrant city they had once known was on a downward spiral. Ironically, the Nazis made Berlin their target for anti-urbanism sentiments, destroying much of the city’s infrastructure during the war. Yet, the city miraculously made it out of the war more alive than before. As part of their regime, the Nazis rejected the idea of urbanization and instead, advocated for a countryside lifestyle. However, it seems that if we trace people’s experiences in Berlin across this time period we find that despite the massive amounts of damage caused by the war, the city thrived in the following years. 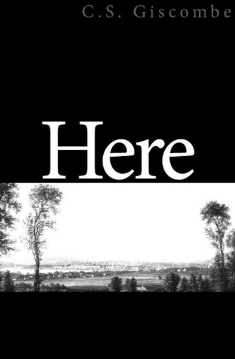 Overall, Hoffmann uses this understanding of urban experiences through time, specifically from the WWII period, to comment on the theme of temporality, especially with regard to “historical events of rapture”. Theodor Adorno, a German Philosopher, wrote in 1944 about this temporality referring to it as a “timeless succession of shocks”. Hoffmann suggests that instead of limiting our understanding of this period to a linear succession of events, we must think of this time as a series of plural experiences. The work Hoffman does exposes the question: how do we learn about history accurately when we are so fixed in our modern perspective? In order to capture the facts and events justly we must suspend are linear perception of time and dig into how time is experienced differently, especially in moments of great disturbance and shocking realities. Perhaps, for every past there are two histories: one which outlines events chronologically, and one that is more chaotic, reflecting how people experienced these events. Associate Professor of Art History Lauren Kroiz published a new book on the American Regionalists titled Cultivating Citizens: The Regional Work of Art in the New Deal Era. She also has an essay in the Ashmolean catalogue America’s Cool Modernism: O’Keefe to Hopper that was informed by her work with the Global Urban Humanities Initiative. Read the abstracts and find the books below. Kroiz, Lauren. 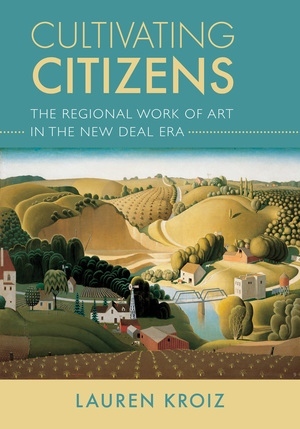 Cultivating Citizens: The Regional Work of Art in the New Deal Era. UC Press. March 2018. Find the book here. Kroiz, Lauren. 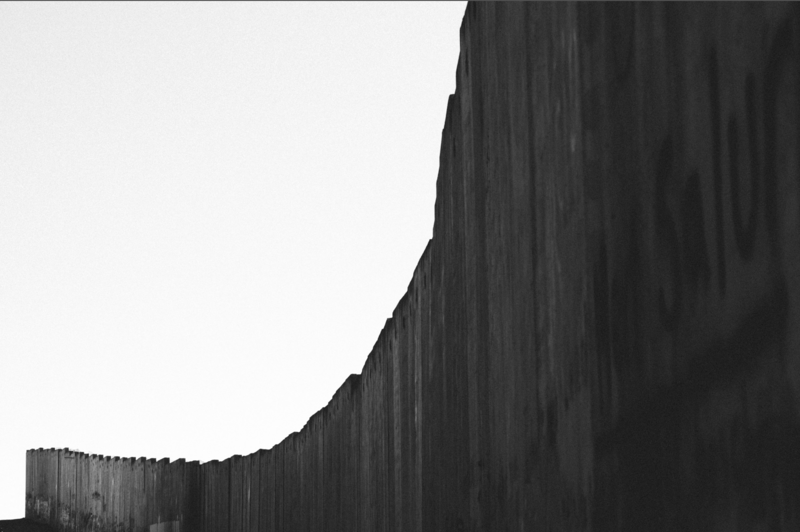 "Leaving the Body: The Empty Spaces of American Modernism." In America's Cool Modernism: O'Keefe to Hopper. Find the catalogue here. (about the catalogue) As some American artists began to eliminate people and remove extraneous details from their compositions, they often employed neat, orderly brushwork or close-up, unemotional photography. Artists as diverse as Patrick Henry Bruce, John Covert, Georgia O'Keeffe, Paul Strand and Arthur Dove navigated European and American avant-garde circles, picking and choosing new ideas and methods. Inspiration ranged from cubism and machine parts to new technologies, and they found ways to bring order to the modern world through extreme simplification. For them, abstraction involved absence and presence - the evacuation of human beings but also the desire to depict something that would not otherwise be visible or to render visible unseen natural processes like the passage of time, sound waves, or weather patterns. Their artworks provide a new context for the precisionist works in the subsequent sections and point to modern ideas about what art could be. How does a crisp painting technique relate to an aesthetic of absence?